Plant Sales in Media, West Chester and Willistown! This sign says it all! The best thing about buying plants at local plants sales is that they are typically native plants that were successfully grown by a local gardener. Proven winners, if you will, lovingly divided by passionate gardeners for the sake of funding their non-profit organizations. Instead of buying a tropical plant from a big box store (that will barely stand a chance of survival in the northeast), you’ll likely purchase an heirloom plant that has “been in the family” for years. You’ll likely get get some good gardening advice from the volunteers as well as your fellow shoppers! 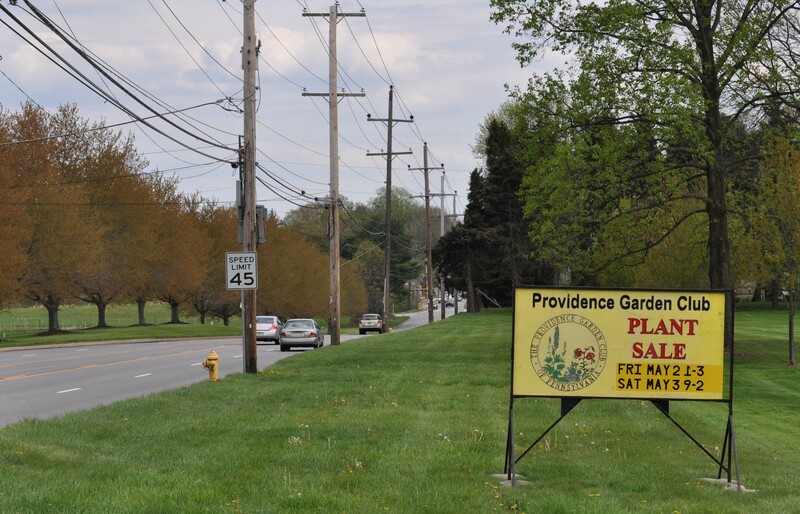 The Providence Garden Club plant sale will be held at The Williamson Free School of Mechanical Trades, Restall Sports Center. 106 S. New Middletown Road, Media Pa.
Willistown Conservation Trust Spring Plant Sale at Rushton Farm – May 3rd & 4th. Click the link to stay tuned! 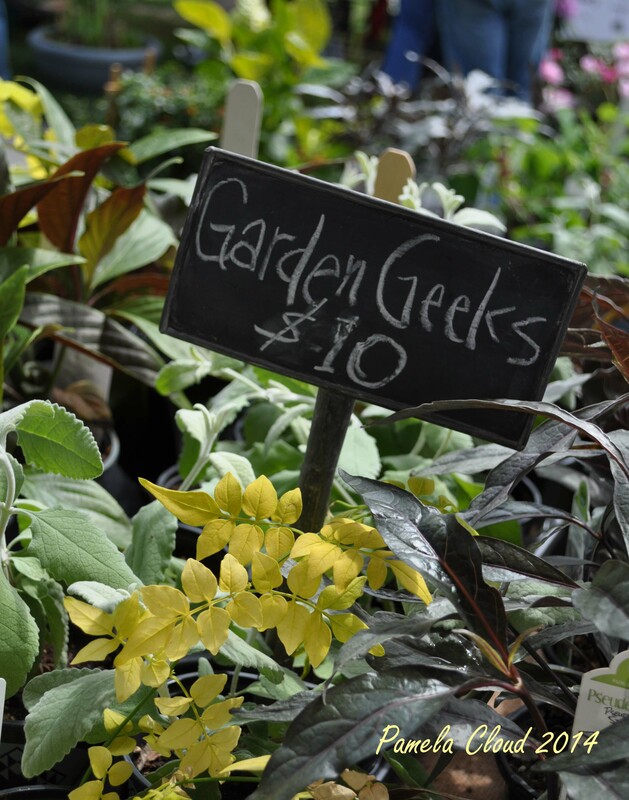 Tyler Arboretum Plant Sale– May 2nd & 3rd on the grounds of Tyler Arboretum, Painter Road in Media. Friends of Everhart Park perennial sale at Everhart Park, West Chester-my sources say first weekend in May. Check the Facebook page for updates! Providence Garden Club, Friday May 2nd and Saturday May 3rd. Held at The Williamson Free School of Mechanical Trades, Restall Sports Center. Featuring a wonderful assortment of trees, shrubs, perennials, hanging baskets, annuals. 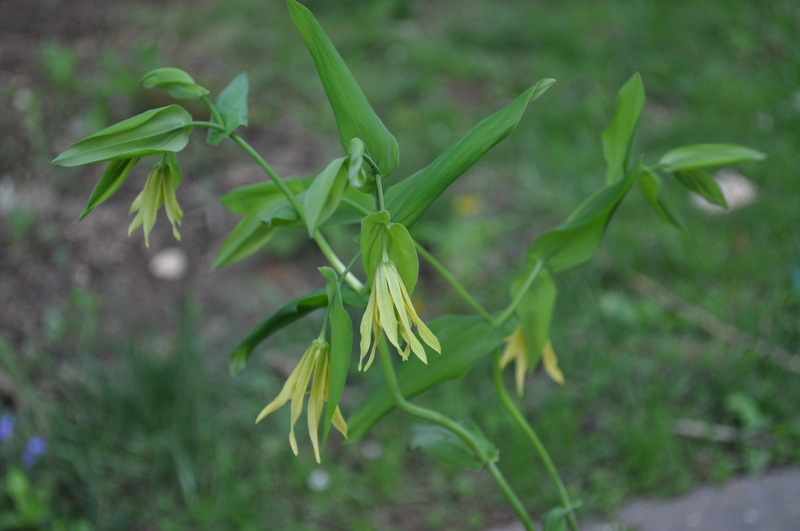 It is unusual for me to find something I haven’t seen before but I found this one yesterday as I previewed the Providence Garden Club’s plant sale and purchased it right before closing time! If you love meeting fellow gardeners and seeing what interesting new plants you can add to your garden, try a local plant sale! Conservation Easements. Are They For You? © Pamela Cloud and The Nature of Delaware County, 2012-2018. Unauthorized use and/or duplication of this material without express and written permission from this blog’s author and/or owner is strictly prohibited. Excerpts and links may be used, provided that full and clear credit is given to Pamela Cloud and The Nature of Delaware County with appropriate and specific direction to the original content.